The Gamine is a strong, spunky woman who is short in stature, but not necessarily petite. She may be stocky or slender, but she is never fragile: not in build, and not in personality. She is a fun, animated gal who is typically unconcerned with other people’s opinions of her. She may be small in size, but she is certainly large at heart. Most people love to be around her passionate spirit, as long as they are on her good side; it’s not so fun to be the one upsetting her. 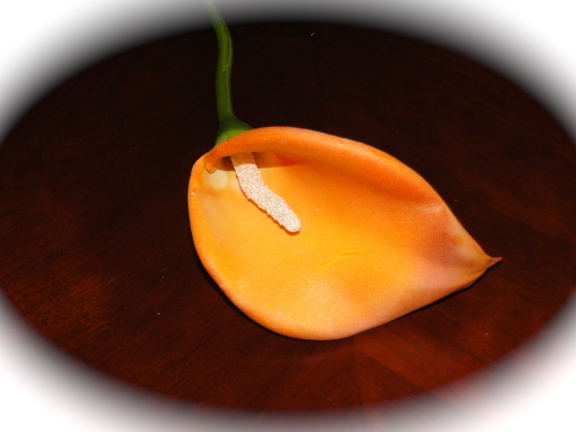 I like to relate this Image Identity (Img.ID) to the Calla Lily, because of it’s bold stance. Like the Calla Lily, the Gamine’s features, frame and personality make a statement of courageousness and independence, and so should her image. By definition, “Gamine” calls for mischievousness. Gamines are very opinionated people, and often their opinion toward fashion is negative. Typically, Gamines do not want to fuss with their image. Be sure to choose outfits that are full of life and eye-catching detail, especially ones that hold their form. Purchase pieces that mix and match with the rest of your wardrobe (it helps to stay within your seasonal pallet of colors). Always wear two to three strong colors that contrast with each other and are low-luster and smooth. Avoid rough textures. Be careful to pick your battles; don’t miss out on having fun with your image just because someone (including me!) is telling you what to do. Make it your decision to take care of yourself and to learn your Img.ID guidelines- then you still get to stay in control.